Here are the final ratings for Friday, November 24, 2017. Finals Update: Trolls Holiday (+0.1) adjusted up. 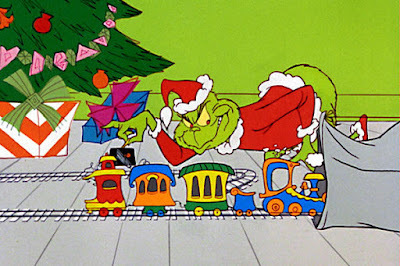 NBC's 'How the Grinch Stole Christmas' (1.3) actually rose from last year's 1.2 at 8. The animated special may have had some help from 'Trolls Holiday' (1.4) which was the top program of the night and easily beat out its competition. NBC rounded out a great Friday night was an encore of Dateline (0.9). Over on ABC, 'Santa Claus is Comin' to Town (0.8) nearly doubled an average 'Once Upon a Time'. At 9, '20/20' (0.6) inched down from last week. CBS had a double dose of 'Frosty' specials (0.8/0.6) and a low-rated 'Grammy' special (0.5). FOX stayed out of the holiday special business in favor of 'College Football' (0.9). It was well above an average 'Exorcist' but did about the same as 'Hell's Kitchen'. The CW had an 'iHeartRadio Music Festival' (0.2) but forgot to send out the invitations.